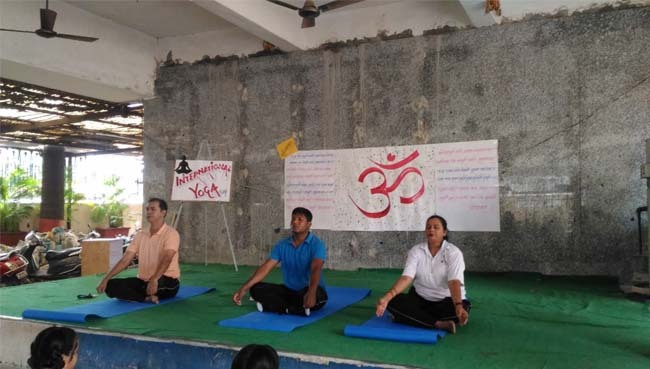 International Yoga day 2018-2019 led by PM Narendra Modi is all set to be celebrated across the globe on Thursday, 21st June 2018. After it was introduced by the United Nations for the first time on 21st June, 2015, the day is celebrated every year. The main aim to celebrate this day is to create awareness worldwide on the importance of staying fit and healthy. 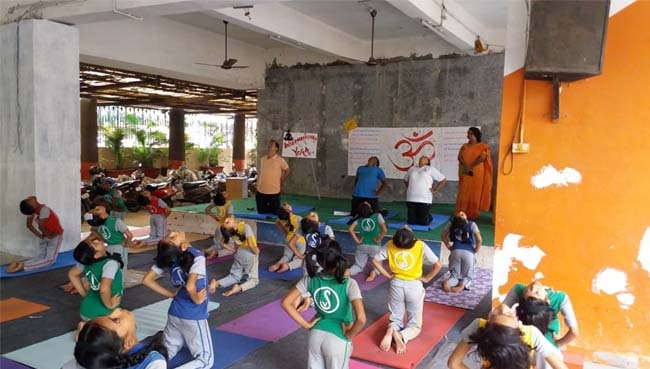 The theme for this year’s international yoga day is “Yoga for Peace”. 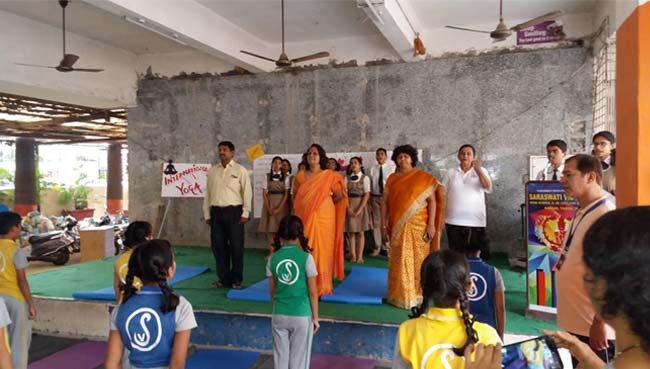 We Saraswati Vidyalaya High School and Jr. College of Science celebrated this day in presence of our School Principal Mrs. Anita Pinto and Vice-Principal Mrs. Manju Mishra. 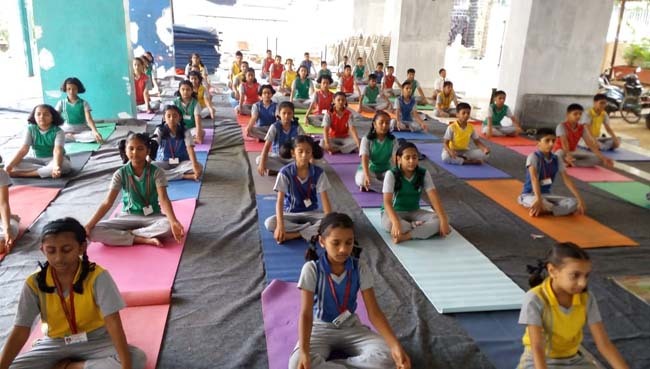 Selected students of Std VI to IX performed Yoga asana like Tadasan, Trikonasan, Padmasan, Vajrasan, Sulabhasan, Bhujangasan and Om Uchaar was performed in the School hall. 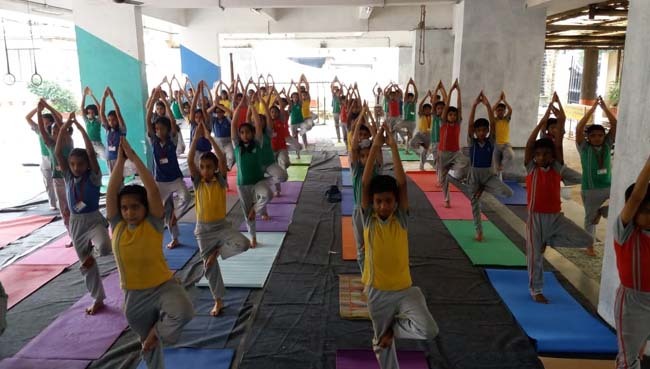 The second half section of the students our Nursery little stars and Jr.Kg students performed sitting exercises like Vrukshasan and Om Uchaar to support the togetherness of this day. 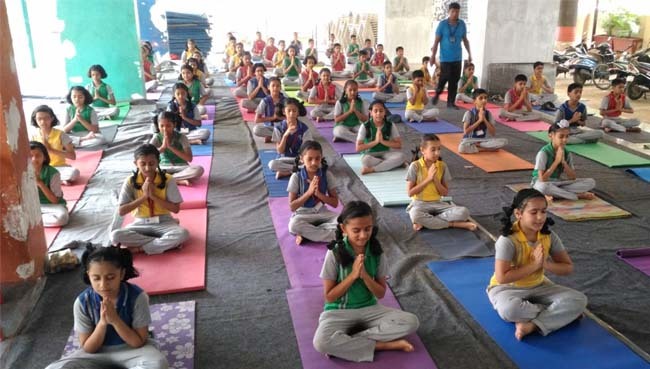 This occasion was celebrated with enthusiasm and it was a blissful experience to participate and perform yoga along with lakhs of people internationally.